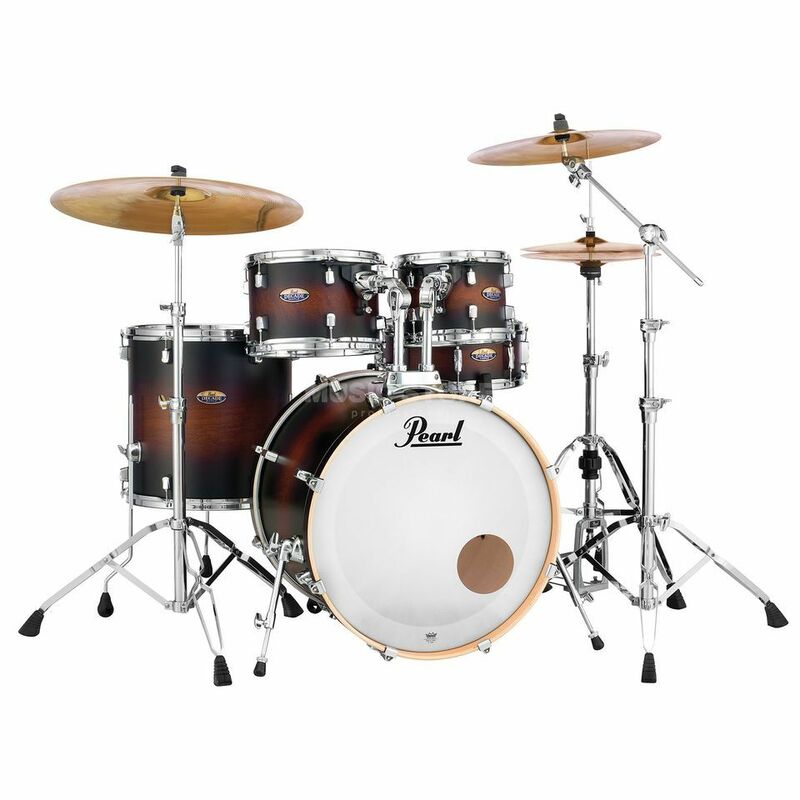 Size tom 1: 10" x 7"
The Pearl DMP925F/C Decade Maple Drum Shell Set Satin Brown Burst is a 5-piece shell set, that consists of a 20" x 16" bass drum, 10" x 7" and 12" x 8" tom toms, a 16" x 16" floor tom, and a 14" x 5.5" snare drum, featuring a satin brown burst finish. The Pearl Decade Maple Series features 5.4mm thick drum shells crafted from 6-plies of fine maple, combined using Pearl's own Superior Shell Technology, all connected to strong chrome hardware. These highly resonant drums produce a rounded tone with plenty of attack, thanks to Pinstripe and Powerstroke 3 drum heads from Remo. The Decade Maple Series is ideal for advanced drummers who want to develop or for experienced professionals who need a second set for smaller performances or rehearsals. This series comes with low mass lugs that guarantee an optimum performance. This drum shell set comes supplied with two tom holders featuring Opti-Loc, with strong feet on the floor tom providing air suspension. This set is completed with a hardware package containing a snare stand, a hi-hat stand, two cymbal stands and a bass drum pedal. Size tom 2: 12" x 8"
Size floor tom 1: 16" x 16"
Snare size: 14" x 5,5"
Size bassdrum: 20" x 16"